The Media Impact Project is a hub for collecting, developing and sharing approaches for measuring the impact of media, aiming to better understand the role that media plays in changing knowledge, attitudes and behavior among individuals and communities. A new report from the Media Impact Project (MIP) reveals that Americans seldom see mentions of Africa or Africans on popular television shows or in the news; and when they do, the portrayals are often negative and stereotyped. Read the Key Findings. Download the full report. The Africa Narrative, based at MIP and in partnership with CrissCrossGlobal, is a global initiative harnessing the power of the arts, media and entertainment, business, education and philanthropy to engage the world in new stories of modern Africa. This eight-part podcast series explores gentrification in Los Angeles. 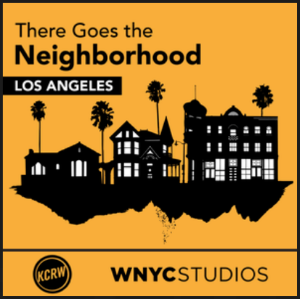 Hosted by Saul Gonzalez and supported by the Conrad N. Hilton Foundation, There Goes the Neighborhood looks at the current identity crisis in Los Angeles: City officials tout new development and shiny commuter trains, while longtime residents are doing all they can to hang on to home. MIP researchers developed tools and methods to evaluate the process and measure the extent to which the goals of the Hilton Foundation grant were met. Expect a final evaluation in January 2018, while a Case Study under MIP’s Insight Series will be available to the public soon thereafter. 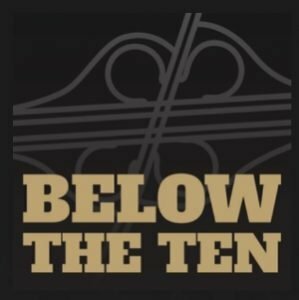 BELOW THE TEN: LIFE IN SOUTH LA is an ongoing audio and visual series telling intimate stories about the people who live in the neighborhoods south of the 10 Freeway, including Watts, Jefferson Park, and Compton. The Media Impact Project has developed an innovative new survey instrument that answers a question that has long preoccupied media researchers: Can films really change people’s behavior? Find out more about MIP. In her presentation at the Paley Center, Johanna Blakley addresses how we can connect the dots between media exposure and social or political action. She summarizes the results from the Lear Center’s impact studies of the documentary film Waiting for “Superman,” the narrative feature film Contagion, and the Guardian’s global development news website. She also explains how mixed methods research can be used to assess changes in knowledge, attitudes and behavior from media exposure.